Overall, there was a lot of money earned at this weekend’s box office, which is typical for the weekend before Thanksgiving, but it’s unlikely that the studios behind any of this weekend’s new entries feel particularly thankful about their film’s performances. Fantastic Beasts and the Crimes of Grindelwald led the way, as expected, and it even performed within expectations — scoring $62 million this weekend — but Warner Brothers’ expectations were not particularly high. I suspect they were hoping for more much better. To put it into perspective, the first Fantastic Beasts film earned $74 million opening on the same weekend back in 2016 and there was considerable debate about whether that would be enough to justify a sequel. 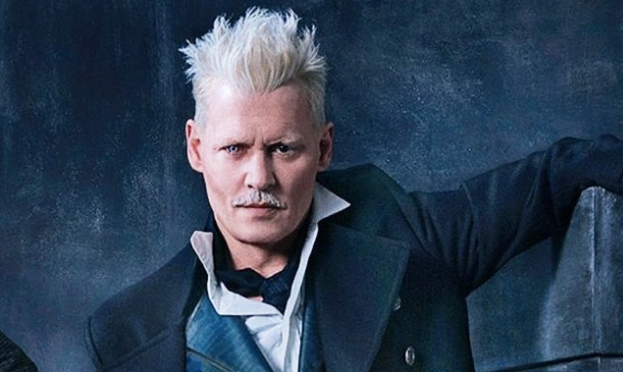 Crimes of Grindelwald opened with $12 million less while costing $20 million more to produce (or about $200 million). It’s hard to see that as anything other than a disappointment, especially considering how much less Fantastic Beasts and Where to Find Them had earned compared to any of the Harry Potter films (it earned about $150 million less than the last HP film, Deathly Hallows Part 2. What went wrong? The reviews certainly didn’t help (39 percent, compared to the 74 percent of the original film) and audiences weren’t as big on it, either (it received a B+ compared to an A from the original). Johnny Depp’s presence also probably hurt more than it helped, and I’m not so sure that Jude Law was the big, exciting draw this franchise needed to jumpstart it. Ultimately, however, the American grosses are going to be somewhat moot. Crimes of Grindelwad will live and die by its international grosses, just as Fantastic Beasts and Where to Find Them did. The first movie added $550 million overseas, which is why a sequel was greenlit, and with this weekend’s grosses, the franchise has now crossed $1 billion (mostly overseas), and that doesn’t include all the merchandising and ancillaries. Warners won’t blink at finishing out the five-part movie series. The top two movies of the last two weekends, The Grinch and Bohemian Rhapsody, hung on and finished second and third respectively this weekend. The Grinch mustered another $38.1 million in its second weekend, bringing its total to $126 million. The Wreck It Ralph sequel will undoubtedly put a dent in its performance next weekend, but I still anticipate that The Grinch will continue putting up healthy numbers throughout the holiday season. Meanwhile, critics be damned, fans are happy to continue turning out to see the Freddie Mercury biopic, Bohemian Rhapsody, which earned $15 million and $127 million after three weekends. New entries took slots four and five and both came up short of expectations. The actor/director team of Mark Wahlberg and Sean Anders — who have played the holiday season well in the past with the two Daddy’s Home films — didn’t make much of a splash with Instant Family. It opened with a weak $13 million. It wasn’t reviews that hurt this one (80 percent on Rotten Tomatoes) or even audiences (it received an A on Cinemascore). Instant Family has largely been derailed by competition in the family-film market, and the arrival of Ralph Breaks the Internet next weekend is probably not going to help it, either. Parents may prefer to take their kids to the feel-good Instant Family, but the animated fare is likely to win out with the real decision makers, the kids. I expect that Instant Family will hold well over the Thanksgiving holiday, but eking out a profit on a $48 million price tag may be unrealistic. 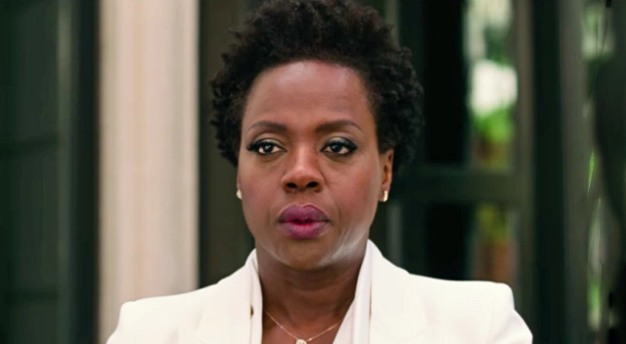 Meanwhile, Steve McQueen’s phenomenal heist film Widows — featuring one of the best casts ever assembled for a film — didn’t perform to expectations, either, opening with only $12.3 million. There’s an incredible amount of talent involved here — screenwriter Gillian Flynn, director Steve McQueen and an all-star cast that includes Viola Davis, Liam Neeson, Elizabeth Debicki, Colin Farrell, and Michelle Rodriguez, among others — but it just couldn’t catch fire despite achieving a 91 percent score on Rotten Tomatoes. It’s long, a little bleak, and not as flashy as Ocean’s 8, so I understand why it didn’t play as well. It’s still a damn shame, because it’s a terrific heist film. Holdovers maintained the bottom five spots. Nutcracker and the Four Realms is not doing great at the box office, but it’s not going away, either. It earned $4.7 million to bring its three-week total to $43 million. A Star is Born is determined to get to $200 million as it earned $4.1 million to bring its overall total to $185 million (while Venom, which debuted on the same weekend 7 weeks ago finally dropped out of the top 10). The J.J. Abrams produced Overlord mustered $3.7 million in its second weekend and it has now earned $17.6 million. The Girl in the Spider’s Web is flat-out bombing in America, dropping to number nine in its second weekend and earning only $2.3 million to bring its 10-day total to a meager $13 million. That movie has not been bailed out by overseas audiences yet, either. Finally, Tyler Perry’s Nobody’s Fool closes out the top ten, earning $2.1 million to bring its three-week total to $28 million. In limited runs, it’s worth noting that both Green Book and The Front Runner are performing well below expectations. I believe both were originally expected to open wide next weekend, but the returns in major cities have discouraged bigger releases. Green Book will open in 1,000 theaters on Wednesday while The Front Runner will land in only 500 theaters on Friday. Both films are likely to be overshadowed by Creed 2 and Ralph Breaks the Internet, which will duke it out for the top spot next weekend, along with Taron Egerton’s Robin Hood, which will endeavor to break the slump on Medieval Times’ films.